Karen Smith, founder and director of the Resonance Flute Consort, is a well-known and widely respected music librarian and archivist in the film music industry. After earning degrees in both Flute Performance and Music Education from the University of Alabama, she moved to Los Angeles and was hired by Hayen Music where she honed her craft by working on many of the familiar Saturday morning cartoons of the famed Hanna-Barbera Productions. She soon began to free-lance with Paramount, Warner Bros., and Universal Studios, eventually becoming the head music librarian at MGM Studios. When MGM was purchased by Ted Turner, the legendary Lionel Newman of the Newman family film composing dynasty became the new music supervisor. The library was shut down and all accounts transferred to JoAnn Kane Music (JKMS), which was the copying office for 20th Century Fox and one of the most highly regarded film music copying offices in Hollywood. Upon Lionel’s recommendation to JoAnn, Karen was offered a job as music librarian and regards this as the turning point in her career. While working for JKMS she maintained the Fox archival and rental libraries, as well as the concert librarians of Randy Newman, Jerry Goldsmith and the Boston Pops Orchestra, under the direction of John Williams. During her tenure there, she worked on over 600 films scored by the most prominent film music composers of the day including John Williams, David Newman, Marc Shaiman, Elmer Bernstein, Alan Silvestri, James Newton Howard, James Horner, Danny Elfman and Hans Zimmer. Outside of the film world, prominent music publishing and rental houses including G. Schirmer Music Publishers, the Gershwin Music Trust, the Henry Mancini Library, Themes and Variations, and The Rodgers and Hammerstein Concert Rental Library have utilized her services. In the orchestral world, she is an associate librarian for the Los Angeles Philharmonic, The Hollywood Bowl Orchestra, The Los Angeles Opera, The Los Angeles Chamber Ensemble, and is the head librarian for The Asia America Symphony and The Glendale Pops Orchestra. Additionally, John Williams, Lalo Schifrin, David Benoit and Lee Holdridge have recognized Karen’s skills and entrusted the management of their personal libraries to her. Currently, Karen works at the Disney Music Library in Burbank, CA., where she prepares music for all Disney films, television shows and concert performances. 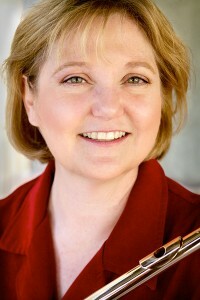 Karen enjoys an active recording career with the Resonance Flute Consort and her musical partner, pianist David Snyder.